23andMe is undertaking one of its most ambitious ancestry initiatives to date, the Global Genetics Project. This project was inspired by the success that 23andMe had with their African Genetics Project. 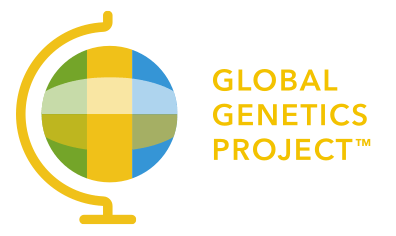 23andMe researchers modeled the Global Genetics Project using what they learned while doing the African Genetics Project (which launched in 2016). In the African Genetics Project, 23andMe was able to recruit 1,000 individuals with four grandparents from one of 16 countries in Africa. The data from those participants can help 23andMe customers who are trying to learn more about their African heritage. For the Global Genetics Project, 23andMe will recruit individuals who are 18 years of age or older and who live in the United States. Each participant must have four grandparents who were born in one of several dozen countries around the globe. To be eligible, you must have four grandparents who were born in same country. The countries 23andMe is interested in are: Angola, Azerbaijan, Bahrain, Benin, Botswana, Burkina Faso, Burundi, Cambodia, Cameroon, Central African Republic, Chad, Congo (Republic of Congo), Equatorial Guinea, Eritrea, Fiji, Gambia, Guinea, Guinea-Bissau, Indonesia, Jordan, Kazakhstan, Kuwait, Kyrgyzstan, Laos, Lesotho, Liberia, Libya, Madagascar, Malawi, Malaysia, Mali, Mauritania, Mauritius, Mongolia, Mozambique, Myanmar, Namibia, Niger, Panama, Papua New Guinea, Paraguay, Qatar, Samoa, Senegal, Sierra Leone, South Sudan, Swaziland, Tajikistan, Tanzania, Thailand, Timor-Leste, Togo, Tonga, Turkmenistan, Uganda, United Arab Emirates, Uzbekistan, Yemen, Zambia and Zimbabwe. 23andMe used a set of criteria for including a country in the Global Genetics Project. They reviewed how well represented a country currently is in the 23andMe reference database. They included countries that fell below a certain threshold of representatives in their database. In addition, 23andMe considered the population size of countries, and generally included countries where the census size is larger than 1 million people. Each participant will be asked to provide a saliva sample for genetic analysis and to complete 23andMe’s Family Origins survey. 23andMe is seeking people who are not currently 23andMe customers. 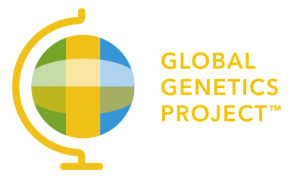 The main purpose of the Global Genetics Project is to improve insights into ancestry. In addition, the project could also help 23andMe conduct significant health-related research within underrepresented populations. As 23andMe points out, more than 90 percent of the research into genetics underlying health conditions is on individuals of European descent alone. By diversifying the data with efforts like the Global Genetics Project, 23andMe believes that it can conduct the kind of research that benefits a much broader community.